HP PAT 2019 Counselling: Himachal Pradesh Technical Education Board (HPTEB) is the official authority which conducts the HP Polytechnic Counselling 2019. Counselling is based on Merit and rank.Only Himachal Pradesh Polytechnic Entrance Test (HP PAT) qualified candidates are eligible to participate in the HP PAT 2019 Counselling Procedure. HP PAT Exam 2019 is on 26th May 2019. HP PAT Counselling rounds are likely to conduct after the publication of merit list. Candidates need to choose a preferred college and stream for admission. Based on the merit, the seat will be allotted to the candidates by the official authority. To know the detailed procedure about the HP PAT Counselling 2019 – Read the article below. The counselling will at the private and government colleges. There is no charge for the counselling and candidate can take part in the counselling as per marks and rank in the exam. The exam official conducts the second counselling session when there is no seat available in the first session of counselling. HP PAT 2019 Counselling will begin in the last week of May 2019. After the reporting of results, a new consultation and admission process will begin. The HP Polytechnic 2019 Result will be declared in the 4th week of May 2019 via online mode on the official website. In the case of vacant posts, the authority will also organize the fourth round of counselling / manual consultation. Candidates can participate in the counselling process based on their allotted rank. HP PAT Counselling is for allotting the seat to the students in the college. The students can make changes in the choices of the college. The counselling is in an online mode, and the candidate will get the details via visiting the official site. The students can participate in the counselling giving the required information to the concerned authority. You can present your total marks scored by you and you can enter the name of colleges at the site through online medium. The aspirants must go through the seat distribution process. The candidate will get the seats in the college selected. The seat is provided for taking admission in the college of your choice and it is done through filled choices and seat distribution. If the candidates have been selected, then they will have to come to the college and must do seat verification. It is not possible for the seats to be filled in the second counselling session. The left seat can be filled in the next counselling session. Qualified candidates at the time of reporting must carry the below-mentioned documents for verification. The candidate must carry the original documents and one xerox copy at the reporting centre. Qualifying examination mark sheet and passing certificate. 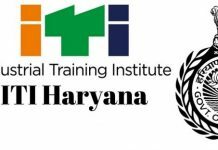 HP PAT 2019 admit card & rank card. Category certificate (for reserved candidates). H.P. Taniki Shiksha Board, Dharamshala Distt. Kangra will conduct the counselling round. Through counselling, qualified candidates will be granted admission in private and government polytechnic colleges in Himachal Pradesh. 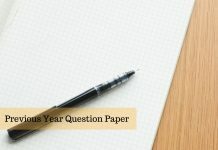 If you have any doubt related to HP PAT Counselling 2019 – write the same in the comment box given below.